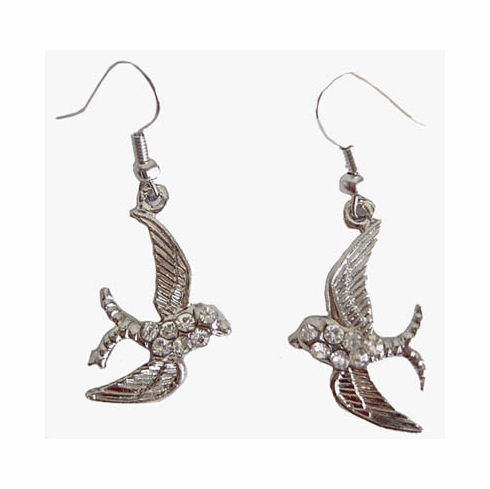 Stunning silver sparrow earrings with crystal accents and silver pierced hook. Approximate length measurement 1 1/2". Also available in gold.